The Ukulele App : The smartphone app for the smartphone of instruments! Created in conjunction with YouTube’s The Ukulele Teacher – the Internet’s most popular ukulele channel – this app has everything you need to get started with your ukulele! The most extensive Chord library available – any chord, any key, every possible variation, everywhere on the fretboard! Reverse chord look-up – You tell the app what notes you’re playing and it tells you the name of the chord. The most complete Scale library – generate hundreds of different scales and modes across any key. Fully searchable video library featuring over 300 lessons and playlists from The Ukulele Teacher himself with new videos being added every week! The ultimate ukulele practice tool! And we’re just getting started! The Ukulele App is constantly being worked on and improved – and we still have lots of big ideas for the future. It’s all there. I’ve had the app for a day now and really like it. You can tell a good amount of time and thought went into making this. 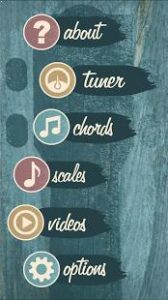 Has everything you need to get notes chords and songs. I’m a fan of John’s YouTube work; he got me going as a beginner (which I still am). 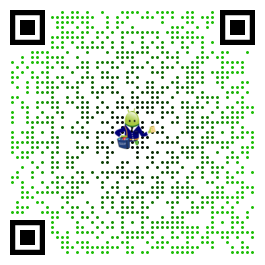 Spend the $1.99 and support this guy. Love this guy but… I’ve watched his YouTube videos for years, and I’m glad he finally made an app, but here are a couple of problems, like the text being doubled when you scroll down a list, and the notes not sounding until after the app is closed. If they could fix that, then definitely would be best app. Just amazing Such a great design and so user friendly. Great job team can’t wait to see the rest of the features. The only bug i’ve found is In the tuner page, sometimes the repeat button doesnt work. What do i get if I upgrade to pro? I was just looking for a tuner app, but this is SO much more. After tuning, the chord instruction had me playing chords immediately. The app needs a little more info on where to start, but I kind of figured it out. Love the links to videos, but not a very elegant interface. It is hard to understand which videos a beginner should start with. Older videos really need to be updated. Even though I have several points of constructive criticism, I still rate 5 stars and highly recommend.